That’s the decisive nature of most four-year-olds when asked how they want their room decorated. It’s been a while since I’ve revealed my kids’ rooms, and boy, have they evolved—the kids, the rooms, my own personal style. Since my youngest, Chase, arrived on the scene, we’ve ping-ponged between coasts, and as of last summer, we’re hoping our latest move sticks. Moving is wildly stressful and exhausting for all involved, and that’s why I believe it’s more important than ever to give my boys spaces they will love and find comfort in. We moved into a beautiful, unfinished home. Everything was—and some still is—vanilla. Vanilla as in plain, but also as in vanilla ice cream wall color, which does nothing for the home’s beautiful moldings and frankly, a total letdown after viewing its English country manor exterior. 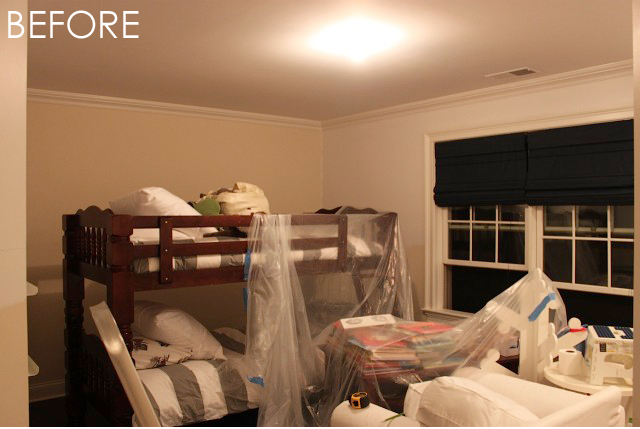 Previously, Chase’s nursery and shared bedroom rocked an edge. They were temporary looks in between moves, where bold, primary colors actually complemented the original room design and made decorating a breeze. This time is different. I am planning for a growing boy and a place we plan to call home for a very long time. I want something slightly more subdued, a space he can grow into and investment furnishings that will last through his teen years. The look of the room must be chic but not so chic that one would tire of it quickly. And playful. What’s a child’s room without a little fun tied in with the functionality? So what genius design idea have we come up with, you ask? It starts with a pallet wall. That darn brilliant and cheap DIY pallet wall taking kids spaces by storm. I had to try it for myself. Let’s call this concept rustic cabin meets industrial vintage. Surely Spiderman will love it too? With a pallet wall painstakingly, I mean lovingly, built by hubby, grandpa and me, I honed in on my #1 brand crush—RH Baby & Child. I’ve recently connected with their design team to come up with an original look that would grow with my little boy. It’s not very often that I get to create rooms for my own family on the blog, which is why this project is particularly special and executed with a great deal of heart. I can already tell you that, in just a few short days, this entire design process has made me adore RH Baby & Child even more, which I didn’t think was possible. Can you sense my excitement? Check back each week on the blog as we reveal my boy’s room makeover journey, known as #ProjectChase, in partnership with RH Baby & Child! Hi! Do you have some How to tips on how you assembled this? removed the wood? etc? 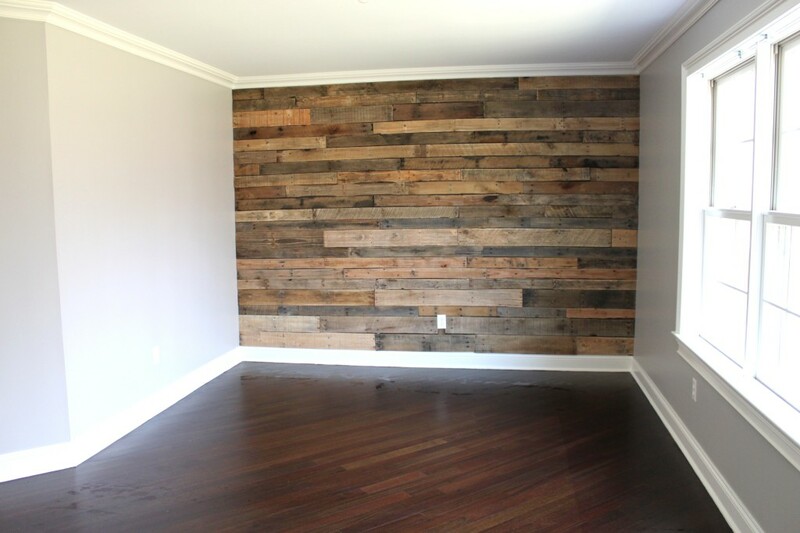 Hi Jen, Melisa wrote an accompanying tutorial for the pallet wall. Good luck!